Whether you’re building a new home, renovating, or just looking to add audio to your space, our award-winning Nuvo audio solutions will transform your lifestyle with the music you love – from PCs, streaming services, mobile devices, and more – delivered to any and every room of your home, always in stunning high-fidelity. With Legrand’s multi-room audio solutions you can listen to all of your favorite music, all of the time. Effortlessly accessible through our mobile apps for our wired and wireless audio systems. 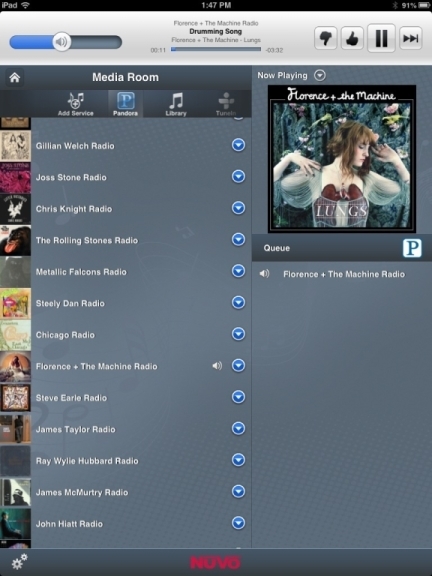 Streaming services include Spotify, Pandora, iHeart Radio, Rhapsody, SiriusXM, tunein, and more.